Google BigQuery Analytics is the perfect guide for business and data analysts who want the latest tips on running complex queries and writing code to communicate with the BigQuery API. The book uses real-world examples to demonstrate current best practices and techniques, and also explains and demonstrates streaming ingestion, transformation via Hadoop in Google Compute engine, AppEngine datastore integration, and using GViz with Tableau to generate charts of query results. In addition to the mechanics of BigQuery, the book also covers the architecture of the underlying Dremel query engine, providing a thorough understanding that leads to better query results. The authors are founding members of the BigQuery team and have helped build and run the service. Jordan Tigani is an active participant in the BigQuery StackOverflow virtual community. Siddartha Naidu has extensive experience helping customers integrate with BigQuery. All source code is available at https://code.google.com/p/bigquery-e2e, including an issue tracker for bugs. All code is open source. 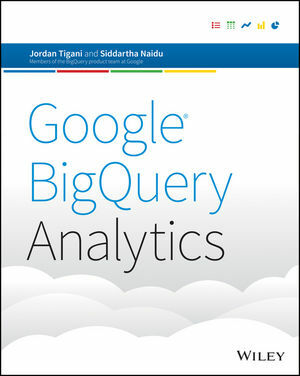 http://bigquery-sensors.appspot.com contains the dashboard and android download that is described in Chapter 8.